The Sydney property market once again recorded an “extraordinary” 81.3 per cent auction clearance rate on Saturday at a median sale price of some $835,000 according to Australian Property Monitors. One auction clearance result at such an elevated level may or may not represent an anomaly, but that’s now four consecutive weekends where the rate has exceeded the so-called boom time levels delineated by the 80 per cent barrier. Meanwhile, futures markets are pricing in another interest rate cut to just 2.50 per cent as greater than a 9 in 10 likelihood for today. Indeed, cash rate futures markets imply that we may see rates as low as 2.50 per cent right through until 2015, although that outcome is naturally dependent upon the success or otherwise of stimulatory monetary policy managing to resurrect other key sectors of the economy. 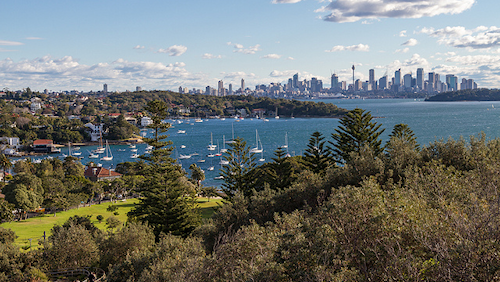 I’ve predicted on this blog for the last 18 months that the Sydney property market will be the prime beneficiary of the overriding weakness of many of Australia’s other property markets. RP Data shows that prices in Adelaide have waned badly in the last quarter are now lower than they were 12 months ago, despite generational lows in interest rates. Prices have also fallen slightly year-on-year in Hobart. Brisbane has fared no better than Adelaide over the past half-decade with median prices below levels seen in 2008, and many regional markets have been in a steady decline for several years now. The same data provider reported back in May this year that house prices in real terms (i.e. when adjusted for inflation) were in the region of 10-20 per cent lower than at their peak across every capital city. Any lingering doubt that strong price growth would follow increased activity in the hot sectors of the Sydney market (inner west, lower north shore, city and east) has been eliminated. This week, properties in my neck of the woods (Pyrmont, the inner west, city and east) have sold at astonishing prices, with full asking prices often being met and auction results comfortably clearing reserves. In fact, ask market participants and they will tell you that in favoured suburbs and market sectors price growth over the past 12 months has been comfortably higher than the reported median gains. Sydney’s median dwelling price now sits comfortably above its previous all-time peak, but the apartment market actually broke through to record highs way back in May 2012. RP Data has reported that it is the broad middle-priced market which is racing ahead, likely due to the exaggerated levels of investor activity. • Construction activity can increase rapidly during a house price boom (and be quelled during times of falling prices) leading to a temporary oversupply (or undersupply) thus exaggerating market downturns (and upturns). The most compelling factor, in my opinion, however, is the human psychology element. Not only does each new generation see an influx of new market participants who have never experienced a housing bust, humans are emotional creatures: we tend to extrapolate the present into the future in an irrational manner. Perhaps unconsciously, we tend to believe that when times are good they will always remain so, and when times are hard we fear they will never improve. We find it harder than we should to bet against the crowd (“…what if everyone else is right and I’m wrong?“) and, most damningly of all, we cannot abide the idea of others profiting when we do not. It was frequently observed back in the 1930s by George Orwell and others that while unemployment was frequently a devastating or humiliating prospect for millions, the impact was sometimes lessened where every household in the street was enduring the same experience. It seems to be human nature that our happiness and level of contentment is impacted by the successes or tribulations of our immediate peers. The FOMO rally or the ‘fear of missing out’ is the human psychology most evident during a market price boom: prices which have been rising solidly can suddenly accelerate as the herd mentality kicks in. Soros noted in his Theory of Reflexivity that expectations of future price growth can lead to a positive feedback loop and further, perhaps even stronger, price gains. This phenomenon is more typically associated with pure investment asset classes such as in the equities markets, and yet increasingly residential property is being treated by many as an investment asset as well as being seen as a place for shelter, particularly in the face of unnerving share market volatility. The underlying thought processes are not dissimilar to those involved when I played the UK National Lottery when I left school as a teenager. Of the 49 lads and one lass in the factory I worked in, 48 of them were signed into a lotto syndicate. I never really thought we had much chance of winning (the odds of an individual ticket taking out the jackpot prize were an outlandish 14 million to one). Moreover, I simply couldn’t abide the thought of turning up on another freezing winter Monday morning, only to discover that 48 chortling ex-machinists had retired to sun themselves and drink cold cans of Red Stripe by the pool in Barbados (thereby leaving me with the tedious task of grinding tools for 10 hours a day). Classic human psychology: even at the likely risk of losing, I wasn’t prepared to risk missing out where there was a chance of others gaining significantly. It’s the fear of missing out which is now driving Sydney’s property markets way past previous peaks. Even those who have previously not shown a remote interest in real estate as an asset class reluctantly begin to consider clambering aboard the bandwagon. I’ll admit I didn’t rate the description of the Sydney’s property market experiencing a “mini-cycle” through the financial crisis and beyond. After all, prices can only really go in three directions – they can go up, down or track sideways. While mini-cycles may always appear to be taking place, the true nature of a cycle only really becomes clear as it recedes in the rear-view mirror. And yet, at the distance of a few years, it does appear that Sydney’s market responded rapidly to stimulatory policies with a burst of activity through 2009 and 2010, before quickly levelling off. In fact, it was a compressed version of a textbook market cycle. First there were the predictions of a 40% market crash. Then, commentary subtly shifted towards “prices falling in real terms”. And finally, with conflicting market data sporadically suggesting possible strong price growth, it was concluded by bearish commentators that “we should judge on the ABS data”. And as at June 2010, so we did, when the ABS showed detached dwellings in Sydney as having jumped by 21.4% in 12 months. And here we are again: rinse and repeat. Since 2010, there have been countless Sydney housing bust predictions, but to date, they could hardly have been more wrong. As the market bottomed out with moderate falls through to around May 2012, the predictions once again gradually shifted towards “price falls in real terms”, and finally news articles are now surfacing by the week belatedly predicting new record market highs. RP Data shows that Sydney dwelling prices have increased since their trough by around 10% in nominal terms. Due to the high levels of leverage involved in residential property, this has resulted in an increase in equity on a median priced dwelling of more than $60,000. That’s a troubling figure which the average Sydneysider might take half a working lifetime to save in today’s consumer-focused world. On closer examination, RP Data’s oft-maligned Daily Home Value Index now shows Sydney’s solid median dwelling price gains as having accelerated rapidly of late, increasing by 5.32% in less than 60 days. Traditionally, this is the shortest phase of the market cycle as the crowd joins the party late and quickly pushes prices to previously unthinkable levels – the fear of missing out for many simply becomes too great, despite the associated risk of losing. It’s easy enough to sit out of the market when all the talk is of a “huge, market-wide crash” or “an inevitable housing bust”, and even moderate gains don’t tend to create too much fuss. When homebuyers begin to talk about their house having “gone up by 10%”, this can become mildly worrying. But what really grates is when the smug, highly-leveraged property speculator with half a dozen investment units to his name starts to crow confidently about how he is seeing accelerating 25-30% gains right across his entire portfolio since 2009, while savings account and term deposits look set to continue delivering woeful yields. Remember, this property market recovery has largely been an investor-led rather than a homebuyer story, and this is particularly the case in Sydney. Housing finance data shows that around half of housing finance activity in the city is related to investors. Wary of high transaction costs, and armed with their trusty ‘buy-and-hold’ mindset, a proliferation of investors discourages frequent turnover of stock, clogging up the middle-priced and medium-density sector of the market, thereby potentially exacerbating any potential shortage of appropriate dwellings in desirable locations. Of course, investment risk increases together with prevailing market prices. The entry price is a key input when calculating the absolute returns on any property investment – entry price and investment risk cannot be decoupled. Thus the market is de-risked when prices are lower, but correspondingly becomes riskier as prices increase. Throw into the mix lagging construction of appropriate and well-located dwellings together with a city population increasing at ~60,000 persons per annum, and I expect to see a further interest rate cut send Sydney’s property markets into a relatively short-lived but nevertheless rampant speculation phase. This phase of the cycle must necessarily be short for price growth surely cannot continue at such a furious pace for too long, but new entrants are now being lured into the market at ever-higher prices.